The latest buddy cop movie is about to hit the big screen, but with one major difference, these guys ain't cops at all. 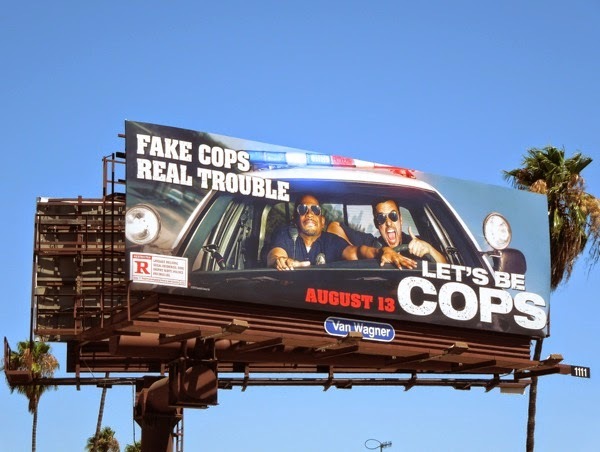 In Let's Be Cops, New Girl co-stars Damon Wayans Jr. and Jake Johnson play friends who dress up as police officers for a costume party and discover that people think they are the real deal in their uniforms (which comes with all kinds of perks). 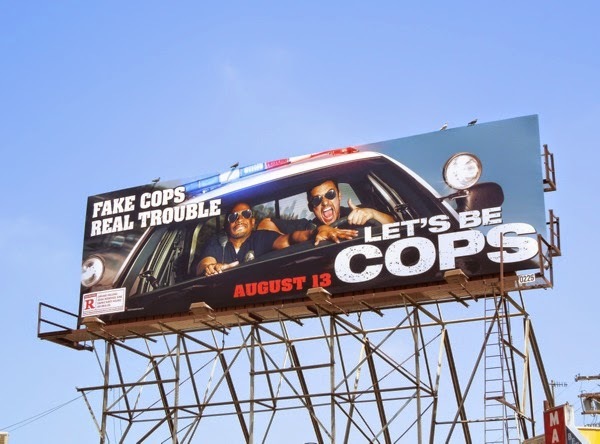 With nothing else to lose and everything to gain, they take their fake cop routine on the road and get themselves into a whole load of trouble with some real life gangsters and dirty cops. 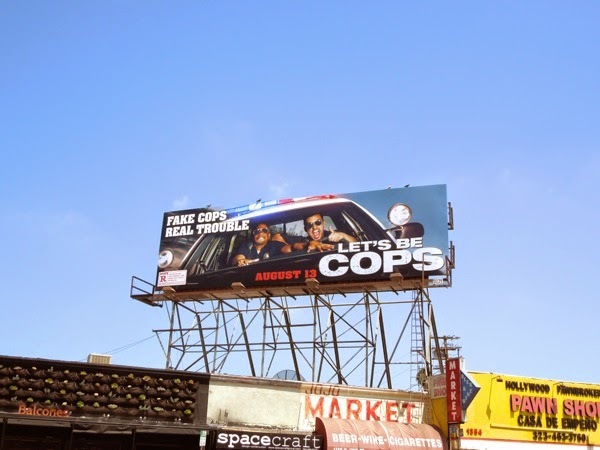 These wild Let's Be Cops billboards were spied along Vine Street in Hollywood on July 15, plus along Sunset Boulevard on July 22, 2014. 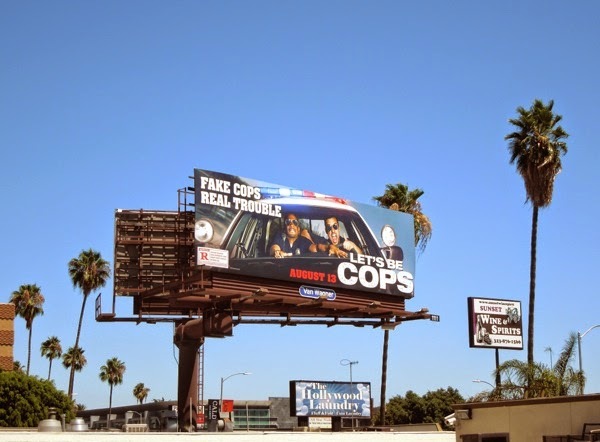 For more police-themed billboards, check out these Ride Along movie billboards, End of Watch movie billboards and Chicago P.D. 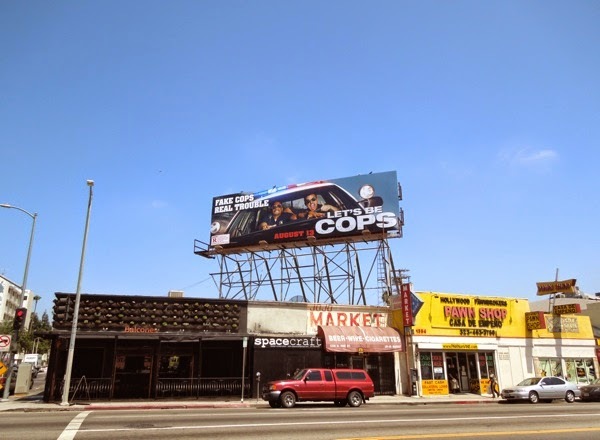 series launch billboards for starters.